In designing a space, it is important to design it as a “whole” project, rather than “piece-meal.” A space, any space, is much more significant, more valuable, and definitely more well designed, when it is treated as a whole rather than the sum of its parts. Just as a painting is created and considered a whole, rather than each of the individual colors and elements within the painting, so a well designed space, whether it be a room, group of rooms, or an entire house, should be designed as a whole in order for the best result to be achieved. This process will always give you, the client, the absolute best design solution and your best value. With your “Customized Full Service Design Package”, we will be able to help you determine a furnishing budget, develop a design concept and deliver your new space in one complete installation. Any or all of the following services may be a part of your full design package, depending on the specific Scope of Work of your project, but they are offered only as a part of your “Customized Full Service Design Package” and will not be offered separately. If a full scale room design isn’t what you currently need, a ”Designer Day” may be exactly what you are looking for. With this service, we schedule a meeting with you and the designer at your home. Prior to your appointment, you will fill out a questionnaire and email it to our office. We will follow up with a phone call to better determine what we need to focus on to get the most out of your day. It is recommended that we concentrate on only 1 or 2 spaces during this time. 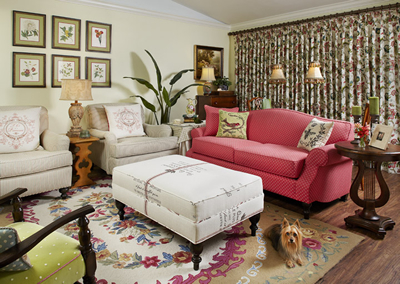 ”Designer Day” will last from 9:00 to 2:00 with an hour working lunch, courtesy of Patti Allen Interiors. We will work throughout the space providing you with suggestions for paint, finishes, furnishings and furniture plan, lighting, window treatments, art, accessories, flooring, and any other design decisions you would like to discuss. Most of our time will be spent in your home, but in some cases, a part of the time may be spent shopping. 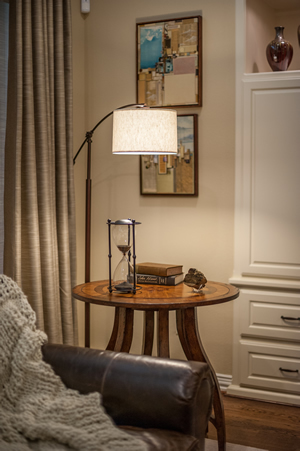 Within a few days of your “Designer Day,” we will provide you with a prioritized check list of your design decisions, and any other pertinent information. In addition, you will be provided with email support at your request for two full weeks following your “Designer Day.” Following your first “Designer Day” if you feel you need more time, subsequent “Designer Days” may be scheduled.